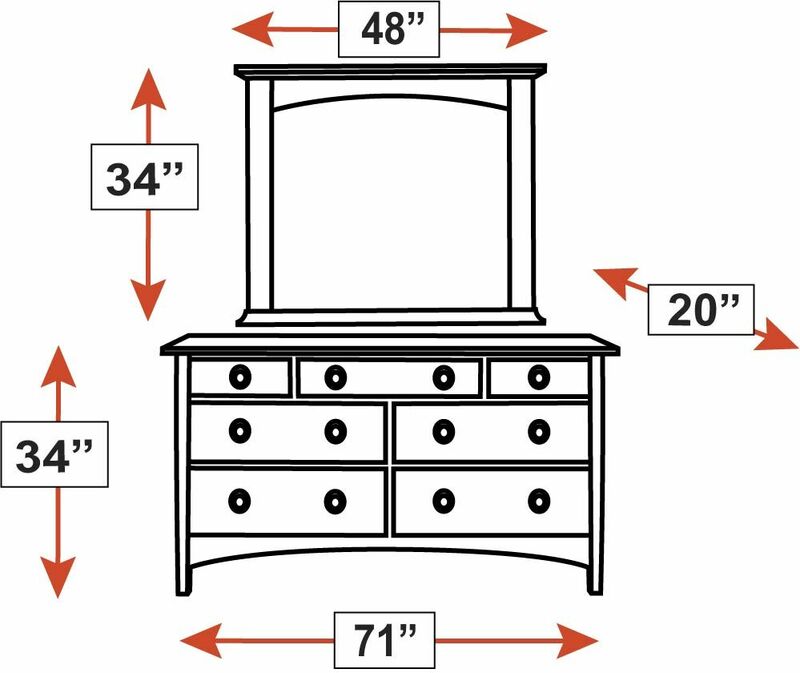 Fill your home with beauty and distinctive appeal, thanks to the incredible furniture designs of Harvey Ellis, a man known for creating perfectly proportioned furniture. 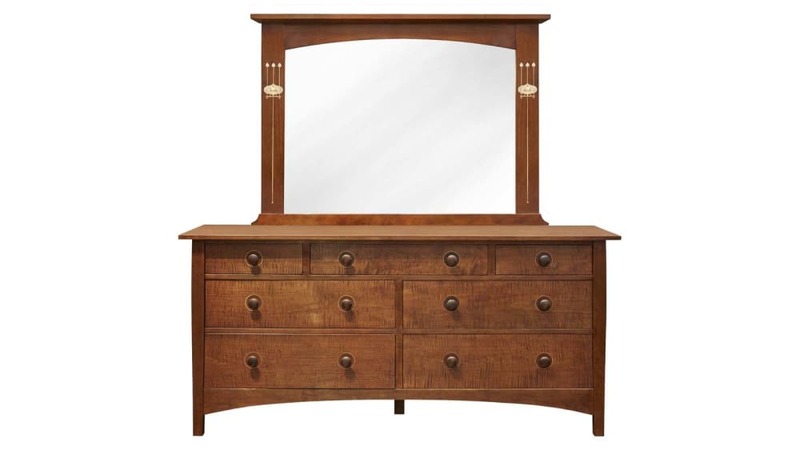 Among this dresser & mirror combo's many features are a solid cherry case and curly maple drawer fronts with inlaid copper rings. Especially appealing are the contrasting walnut knobs, which are inlaid with Viking ship motifs.